Jinxiejade's GT present to me! It's awesome! For those who can't see it's a sleeve of Crystal Light Peach Mango Energy packets (best thing to go with a soda stream ever! Also great with vodka), two sets of cat toys, a DINOSAUR Lego mini figure (it's her! 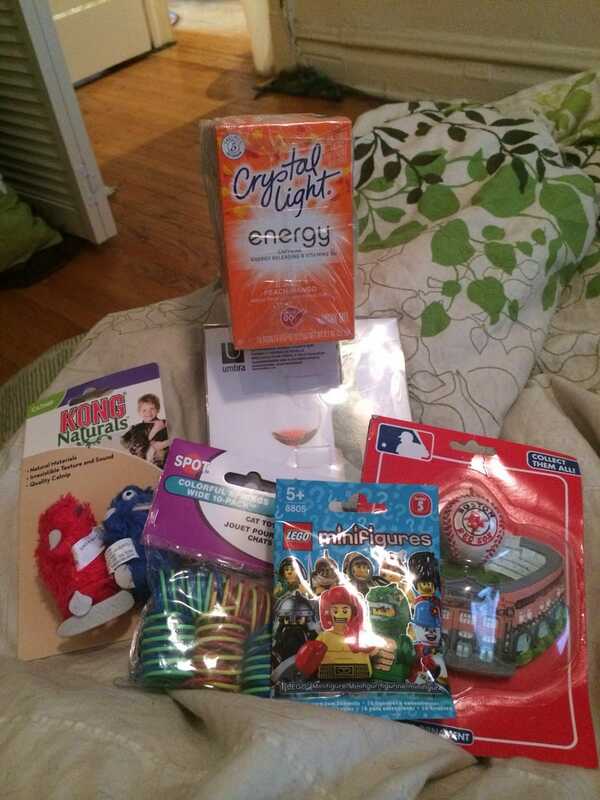 ), a Red Sox ornament, and that cool wine stopped and glass fob set she posted about!!! Thank you so much! I hope you'll like yours when it gets there TODAY!! !